Final Tally Shows No Change. What Happens Next? So the unofficial results of Slovene elections are in, including the overseas/expat vote and in the end very little changed. NSi, the one party which was hoping for an election miralce, did get a substantial percentage of the vote (16 percent of the overseas/expat vote as opposed to 3.26 of the domestic vote) but it was too little too late, especially since only about a quarter of 40.000 eligible votes were mailed in. The only person who probably loudly laments the expat vote is Silvo Mesojedec of SDS in voting unit 6 (Novo mesto), who lost his seat to Zvonko Lah (also SDS) by a mere 0.09 percent of the vote. The National Electoral Commission will confirm the results on Friday (SDS has already stated that it will not contest the results), which means that the Prez will convene the first session of the parliament within twenty days starting Friday, 3 October. The first session of the parliament will be presided by the oldest member of the parliament, probably Vasja Klavora of DeSUS. During this session the parilament will confirm the mandates of all ninety MPs and elect its leadership: the president and three vice-presidents, one of which will be chosen from the ranks of opposition MPs. They also form standing committees and divide membership in these committees according to a party’s standing the new coalition (one notable exception being the commitee on intelligience agencies which is headed by a member of the oppostion). The pick for the post of the President of the Parliament (technically the second most important position in the country) will also answer the question of what kind of government can we expect. Specifically, whether all coalition party leaders will hold ministerial posts or whether their influence will be dispersed over various institutions. More on the above some time in the next twenty days, but suffice it to say that it would be prudent that the post of the President of Parliament should go to one of the junior coalition parties. With this the focal point of coalition decision making would shift towards the parliament (both in terms of division of powers as well as geographically), which would be a welcome improvement, since both the PM and the president of parliament were members of SDS, a fact that vastly contributed to having a rubber-stamp parliament most of the time during the last four years (unless DeSUS was in its rebelious mood and SNS wasn’t on the same page). In any case: Within thirty days of the initial session of the parliament, the President of the Republic holds consultations with leaders of parliamentary groups (including minorities) and decides on his candidate for the PM. The Prez proposes this person (usually leader of the victorious party, or anyone else of whom he is given assurance that can secure an absolute majority of forty-six votes) to the parliament, which holds a secret ballot. The candidate is empowered with the mandate to form a government if he or she wins an absolute majority (46+ votes total). Within fifteen days the candidate for MP must propose his cabinet, with all the ministers appearing before hearing committees where they outline their policies for the next four years. Hearing committees will hold a non-binding vote on the candidate and all of the candidates for ministerial posts will then be voted on en masse by the parliament in a plenary session. They too must win an absolute majority of votes, creating a curious situation where ministers are firstly reponsible to the parliament for their actions rather then to the PM and it is the parliament which can recall them, not the PM. On the other hand, things can go wrong (not that I expect them to). If the Candidate for PM fails to form a functioning government – possibly because he couldn’t get an agreement on who will get which department of the government, or couldn’t win the nomination to begin with, the Prez can nominate another person to the post (or repeat the nomination, depending on the circumstances) within a fourth-night. However, at this point the plot thickens since any ten MPs can propose their own candidate, regardless of his/her ability to form a functioning government. But as I said, things will probably go more or less smoothly and Borut Pahor should become the next Prime Minister no later than the end of November. Posted on September 30, 2008 September 30, 2008 Categories Elections '08, Slovenia12 Comments on Final Tally Shows No Change. What Happens Next? After Social Democrats, Zares and LDS (aka The Trio) won Sunday last, Ljubljana mayor Zoran Janković called upon people of Ljubljana on live TV to join in on the celebration. Indeed, some two thousand people came, a makeshift stage was quickly set up, lightning and sound organised and when leaders of The Trio came to the stage the crowd went positively wild. Days later, however, questions were raised as to who exactly organised the event, and we witnessed one of those rare moments when the mayor was caught completely off guard. When asked about it on a press conference, he feigned ignorance, saying that it was the Social Democrats who applied for an extended permission to organise the event (which included a small stage, plus sound and light systems). He specifically said that the city of Ljubljana was not the organiser and had nothing to do with it. When pressed over it, mayor Janković said that he was told about the event beforehand and had given his consent, but refused to name names, adding that he was told about the application by SD only a day later and that it was a spontaneous gatherhing (which, presumably just happened to include a stage and a band). Since the event would have to be registered with the police, but was not, the organiser was in violation of Law on public gatherings and events (or something like that) and faced a fine of up to 800 euros. So many were mildly suprised when a press release was issued later that Tuesday, in which company GSA stated that it was the true organiser of the event, which was “a present to the victorious political party”. GSA is a company owned by one of Slovenia’s top enterpreneurs Joc Pečečnik, who made it big in the casino business builiding roulette machines and other gambling accessories, but who also owns one of Ljubljana’s footbal clubs Interblock and is the majority stakeholder in the project of renovating the existin Ljubljana stadium. Pečečnik was indeed seen at the SD HQ on election night, but his business ties to the city of Ljubljana under mayor Jankovič are also undeniable. So, what’s the big deal? To be honest, there isn’t any. There is, however, the small matter of someone throwing a public party without registering it – and that’s illegal. And since the party was both spontaneous as well as organised, it had mayor Jankovič’s fingerprints all over it (he is known to have thing done practically in an instant), not in the least because of his public appeal. And when he denied his involvement, he didn’t do a very good job. And when GSA came to the rescue it looked more like an attempt at damage control than anything else. So, did mayor Janković lie? In hindsight, probaby not. Did he make a full disclosure? Again, probably not. Did he handle the situation badly? By all means. He could have either said that it was he personally who organised the party (not the city), take the blame, pay the fine and get it over with. Alternatevly, he could say that he was only told about the party, did not know who organised it and didn’t ask, because he assumed that it was organised legaly, but only extended the courtesy of making a Janković-stlye public appeal on live TV. Truth be told, when Janez Janša’s SDS won the elections four years earlier, they closed off an entire block around their HQ, not just a portion of pedestrian zone, and noone said a thing. 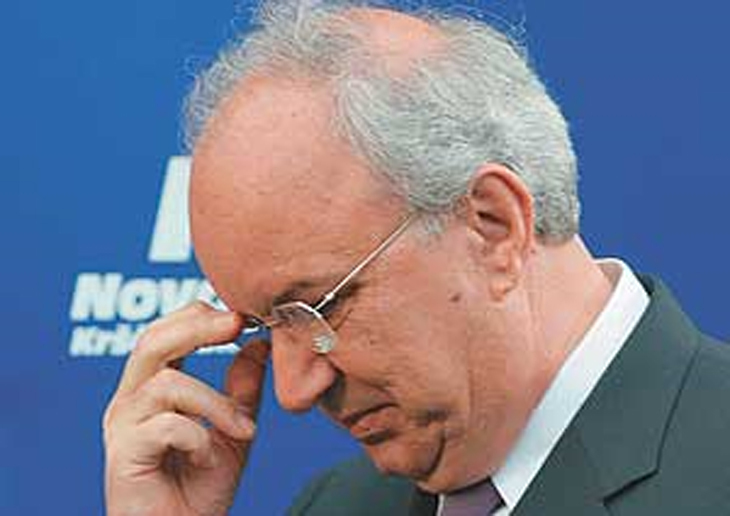 But neither Janković not The Trio were elected to things like before, but because they promised to do them a lot better. So far, the mayor’s track record is very good and it would be a shame if he started slipping now, when he’s finally got a friendly government in sight. As for The Trio is concerned – they have been probably given their only chance. They better now not blow it. According to some media reports PM Janša and his SDS are looking into the possibility of a recount. No action has yet been taken, SDS merely went on the record saying that they are “evaluating the situation”. And the “situation” is that in some consticuencies where SDS lost to Social Democrats, the difference was smaller than the number of invalid votes. The same goes for the number of votes nationally: SD leads SDS with 1.2 percent, while 1.72 percent of the vote was invalid. But the trick is that SDS won five voting units (out of eight total, each unit consisting of eleven consticuencies), and won them narrowly, while SD won three voting units, but by a hefty margin. According to Slovene legislation, a recount can be demanded for a particular consticuency by a voter, a candidate or a political party. 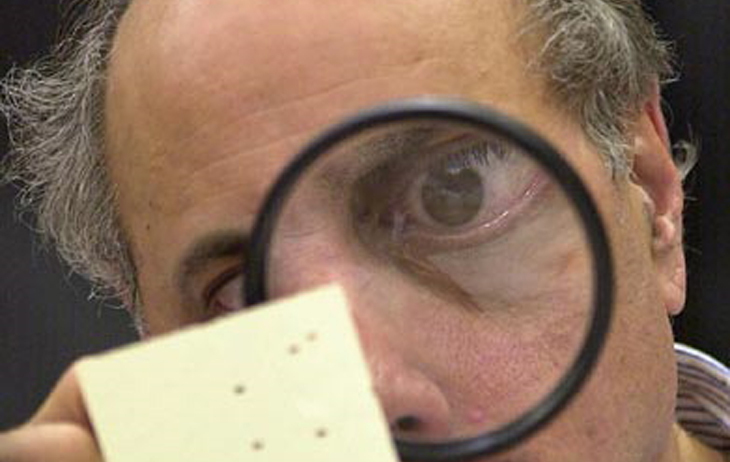 There can, however, be no national recount. So the maths the SDS is now probably doing is whether the recount . combined with the ex-pat (overseas) vote – can win them an additional seat in the parliament. Probably not, but they’re not the ones to give up that easily. Thankfully, Slovenia is not Florida. Yet. EDIT 25/09/08@1200hrs:: SDS indeed filed a complaint against results in two voting units and demands a recount, with addition that results in one particular consticuenty be declared null and void and voting held again. SDS claims that supposed errors were big enough to have influenced the final outcome. Seveteen complaints were filed all across Slovenia. Some 40.000 ballots were sent to Slovenian citizens living overseas, none of which have yet been counted. They will have been counted until Monday, 29 september and later that day the unofficial final tally of the Sunday elections will be known. Now, overseas vote is a well-known hunting ground for SDS and especially NSi, which at the moment has 3.26 percent of the vote, but – as you no doubt know by now – needed 4 percent to get in the parliament. Since the percentage of the vote is calculated based on the number votes cast, this means that NSi need some 8000 votes more to make the treshold. This is not impossible. As I said in the beginning, some 40.000 empty ballots have been sent across the globe and it all depends on a) how many of those ballots are returned b) how many of those are valid and c) where will that vote go. Previous experience dictates that most of the overseas vote goes to NSi (especially from both Americas and Australia). This time around, SDS apparently tried to channel a lot of overseas vote in general its way, but it remains to be seen how successful that particular enterprise was, especially since president of NSi Andrej Bajuk apparently wrote a personal letter to opinion makers in Slovenian diaspora, asking them for help in getting the votes. Some believe that about a quarter of all overseas ballots will be returned, which just might generate enough votes for NSi to make the 4 percent treshold. Others, however, point out that a lot of the overseas vote comes from Europe (not exactly overseas vote then, is it, pengovsky? ), and that votes from Europe more or less follow the dispersal at home, not making much difference in the end. Either way, NSi will face its uncertain future with a new presiedent. In light of the less-than-satisfactory result Andrej Bajuk resigned as president of the party and will not even act as caretaker until a new president is elected. Thus Alojz Sok is now acting as caretaker president. In my opinion NSi’s chances aren’t very good. But if they somehow make it, it means that those someone else will lose four seats. Since calculation of election results borders on alchemy it is impossible to say which party or parties would loose seats, but distribution of power in the parliament might change significantly. According to exit polls both by POP TV and RTVSLO, opposition Social Democrats won today’s parliamentary elections in Slovenia. They have won around 32 percent of the poll, with Janez Janša’s SDS coming in second with 28 percent. Zares took third spot with 11 percent, DeSUS (pensioner’s party) 7,5 while SNS (nationalists) and LDS both won five percent. SLS and NSi (right wing coalition parties) did not make it above the 4% treshold, and neither did Lipa and KDS. 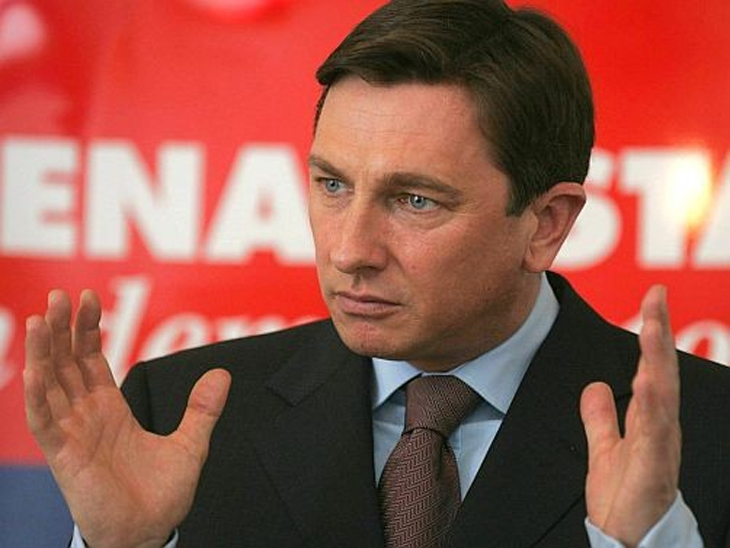 For the moment it appears that SD, Zares and LDS will form the new government with Borut Pahor as the new PM, but it remains to be seen whether they can do it by themselves or will they need DeSUS’s votes to do it. And while we’re on the subject: It seems Dimitrij Rupel finally met his political demise. He was not elected into the parliament and has little chance of becoming a foreign minister yet again. Janez Podobnik and Bojan Šrot of SLS met the same fate, with Podobnik facing a much more uncertain future, since Šrot is still serving as mayor of Celje and thus retains some political leverage. Also, Andrej Bajuk of NSi and Sašo Peče of Lipa didn’t make the cut and bought a ticket on the fast train to the political Big Adios. What will become of their parties remains to be seen, but things are looking rather bleak at the moment.